I have been a licensed psychologist in New Haven, Connecticut, since 1978, specializing in family therapy and couples therapy, as well as psychotherapy with individual adults. I work a lot with children and adolescents. I have been doing divorce and family mediation since the mid-1990’s, starting off as a volunteer with the Regional Family Trial Docket in Connecticut (attorney-psychologist teams volunteering to help high-conflict couples turn their pre-trial date into a full-day, trial-preventing, mediated settlement opportunity). I did my formal ACR-approved basic mediation training with Carl Schneider, and then did advanced mediation training with Woody Mosten and Nina Meierding, followed by many subsequent workshops, including several with John Fiske and Diane Neumann, as well as basic and advanced trainings in interdisciplinary collaborative divorce, and in parenting coordination. I have a Ph.D. in Clinical and Developmental Psychology from Yale (1976) and a BA from Yale (1968). I also taught 4th grade for 2 years (1968-70). My dissertation was a study of long-term psychological effects of “open classroom” teaching on primary school children, and I am still very interested in the impact of school environment on children and how our schools can do a better job of preparing our kids to be creative problem-solvers and peacemakers. After 6+ years working in a crisis intervention program for young adolescents and their families in New Haven, where I learned even more than I had previously learned in my family of origin about conflict resolution and intense emotion, I went into full-time private practice in 1983. I have a refreshingly varied practice, serving all ages and a wide range of cultural and socio-economic groups. My mediation work is limited to helping parents figure out how they want to separate/divorce and how they can craft developmentally appropriate plans for their children. I have developed a reluctant specialty in dealing with high-conflict couples, having managed to help settle parenting disputes in a large number of cases that had been in protracted litigation. I’m conversant with the fundamentals of child support/ alimony/ spousal support, etc., but leave financial mediation to my attorney-mediator and financial professional colleagues. I’ve also been very active in statewide professional associations, including serving as president of the Connecticut Psychological Association (CPA) and the Connecticut Council for Divorce Mediation (CCDM) — recently renamed the Connecticut Council for Non-Adversarial Divorce [CCND]), and founding board member and current treasurer of the new Connecticut chapter of the Association of Family and Conciliation Courts (AFCC). 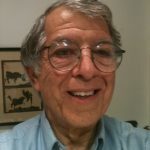 One of Connecticut’s distinguished judges, Joseph Steinberg, started a program in the Middletown, CT courthouse to try to settle cases involving custody and visitation disputes that were headed for trial. He recruited mediation-friendly attorneys and psychologists to offer their services for a full day, designated as the “pre-trial” to see if these cases might settle. I had known Judge Steinberg for years, because he happened to be a member of my family’s synagogue; but, before he became a judge, he also was the only attorney I knew who regularly attended the same training workshops in family therapy that I attended. He really cared deeply about helping families get healthier, and he inspired many of us in both the mental health and legal professions to use whatever skills and techniques we had to help disputants find common ground. Before being drafted to be one of Judge Steinberg’s mediators, I guess I vaguely knew what mediation was, but, after doing a few cases, I knew that I needed to learn a lot more, and I started asking about where to get training. I found my way to Carl Schneider and other mentors, and, the rest is history. I am impressed with the APFM’s mission to forge a new professional identity for family mediators, despite their varying professions of origin. The field of family mediation is different from family law, family therapy, or civil mediation, yet draws its strength from the wisdom of those fields and the synergy of professionals working together. I know from experience here in Connecticut that to make an organization with a good mission work, volunteers need to be willing to invest their time. I’m stretched, like everyone else, but willing. My particular passion is to offer the highest quality training available to our members, and I am honored to serve as the incoming co-chair (with Hilary Linton) of APFM’s training committee. For those of us who do mediation, it is tempting to believe that this method of resolving disputes is so obviously superior to litigation that it is destined to replace it. That’s probably unrealistic, but there are hopeful signs. APFM’s commitment to develop certification standards for family mediators is particularly important. I worry about how easy it is for anybody, with or without training, to declare himself/herself a mediator in states such as mine, with no certification or licensing. However, I am also worried about poorly crafted mediation certification laws that could unreasonably restrict the practice of mediation. Here in Connecticut we have resisted the temptation to introduce mediator certification legislation for fear the legislative process might amend our proposal and make things worse. I think it’s high time our professional association created its own process for certification and, perhaps, model legislation for statewide associations to adapt and promote locally. I have been very happily married to the same wonderful woman (Carla Horwitz) for 43 years, and though we are both overworked professionals (she teaches child development classes at Yale and directs Yale’s Calvin Hill Day Care Center) we do a lot of fun things together, including traveling all over the world, as much as we can. We have a deep interest in archeology and a strong preference for sunny weather, nice beaches, and good food, so we’ve spent a lot of time in Italy, Greece, Turkey, and Croatia, as well as in France, Spain, Portugal, Mexico, Peru, Israel, Morocco, and Egypt, to name just a few. We also live in a city and region filled with music, art, and theatre, and we enjoy these immensely. We have two great daughters, now in their 30s, married and living ten minutes away from each other in Boston, and we have one adorable grandson, now 3, and another on the way.